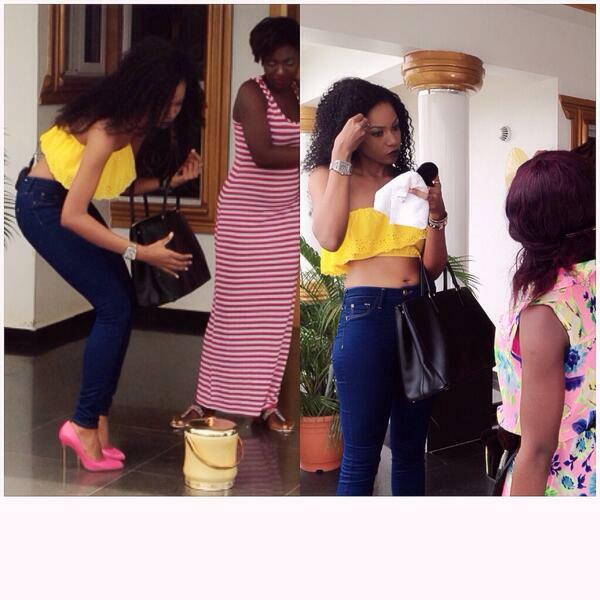 This babe like shakara ehh….always flaunting her flat tummy…lol. This entry was posted in Entertainment, Fashion trends and tagged Yvonne Nelson shooting a new film. Hmmm babe are Ɣ☺ΰ jealiousyyyy lol. She got it, let her show it.